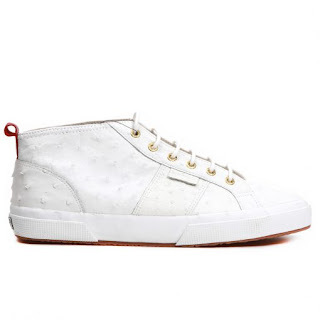 Easy to rock and comfortable Superega has teamed up with the uptown downtown cool of Del Toro Shoes for a Mid-Top Sneaker. 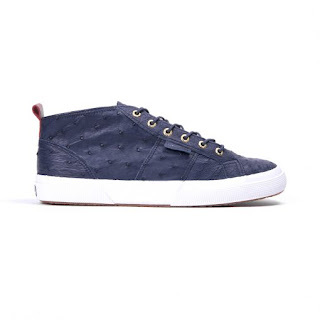 Known for it superb skins, Del Toro Shoes does not disappoint with this pack being done up in a wonderfully textural ostrich skin. 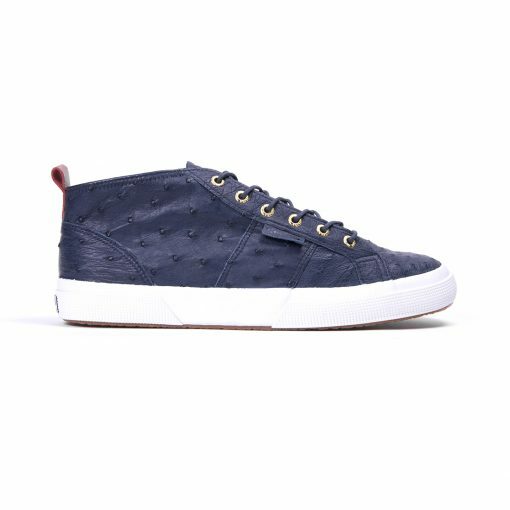 The mid-tip silhouette makes it great for the season and a nice one to take with you right into Fall. The comfort of Superego and the sweet details of Del Toro remain, like the red heel tab. These limited editions kicks are available now in both white and navy from DelToroShoes.com.